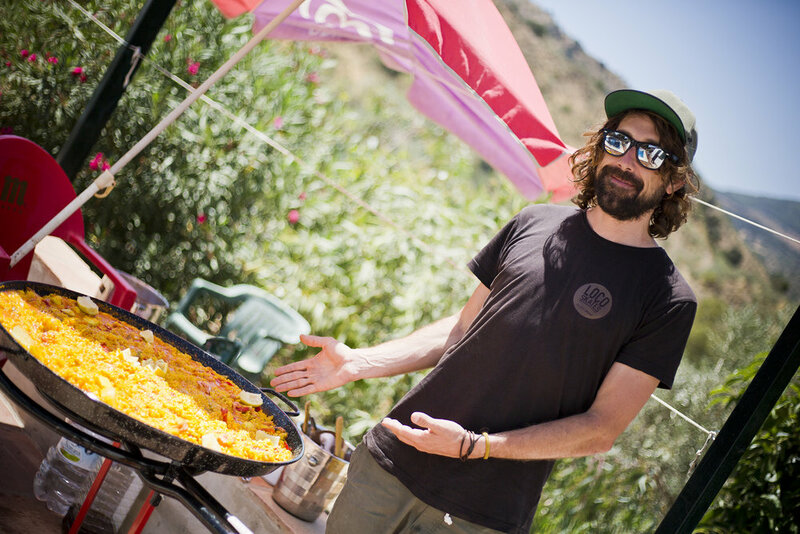 As Blading Camp gears up for their 2018 summer sessions Josh Glowicki took the time to fill me in on the history that lead to Blading Camp, the successes of last year and what he and his partners have in store for returning campers and newcomers alike over July and August in Málaga, Spain. And if the gallery at the end of this article is any indication it looks like everyone is in for another great summer of shredding under the Spanish sun. Hey Josh, thanks for taking the time to talk with me. Let’s start with some background. 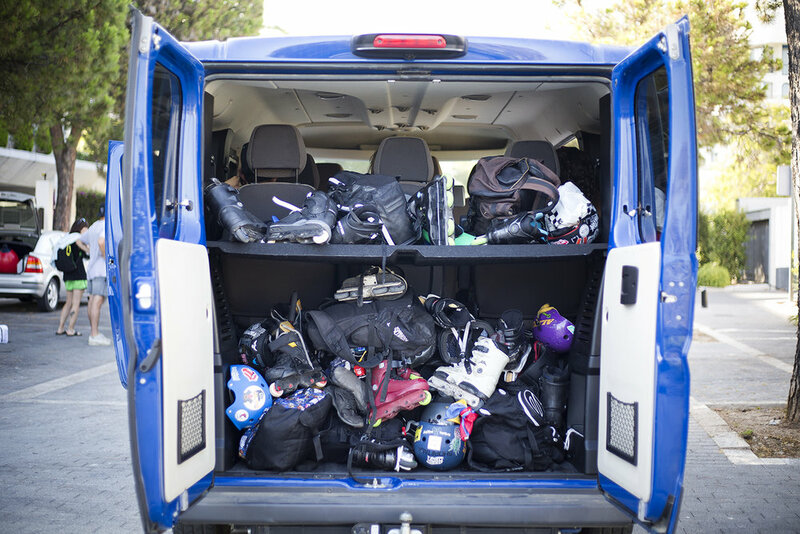 How did Blading Camp get started? Thank you for the opportunity to share my voice with our community! As to how Blading Camp started, that's a long one. In a nutshell back in 2011 Richie Eisler, Fred Andersson and I made the original Gypsy Camp at 016 skatepark in Sweden. I found out then how fun and rad teaching, sharing and inspiring the next generation of super heroes could be! For the next 6 years I made my yearly rounds traveling for Razors and Hedonskate, making shows, tours, filming sections and contests, each year revisiting cool skateparks and favorite places. As I went around I took the camp dream with me. Along the way I met many visionaries who believed in the camps. Teaming up such powerhouses as Montre Livingston, Scott Quinn, Nils Jansons, Thomas from True Spin, Ivo from Thisissoul and eventually after years of work with Irena and the SibSub Russian organization, getting a program in Siberia rolling. I can't express my gratitude enough to everyone for believing in me and the dream of a world wide camp network. Returning to your question, how did Blading Camp form, well after these past 7 years of "gypsying around" I got tired of traveling so much. 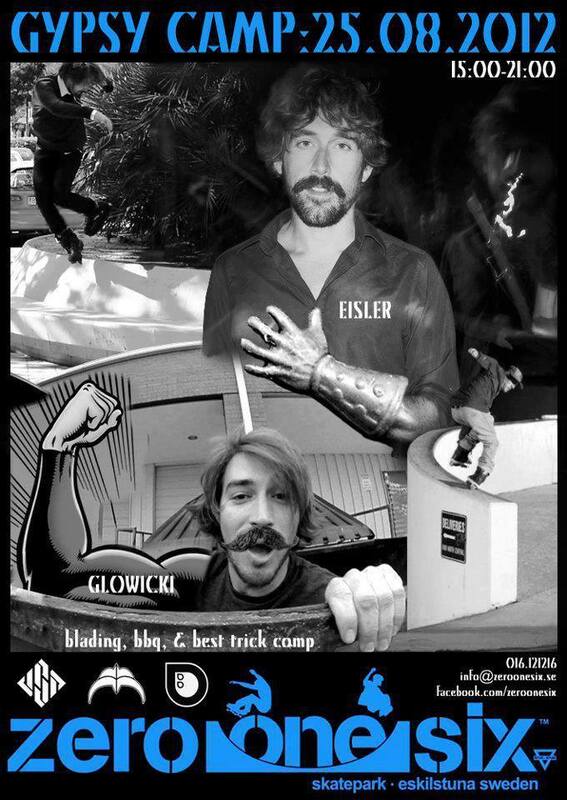 With the help of my amazing partner who completely believes in me and the help of the entire gypsy camp crew, Montre, Richie, Quinny and now to included local Malaga OG, Juan Suárez and another Spanish legend Aritz Ortega we made the organization that we're now calling Blading Camp. 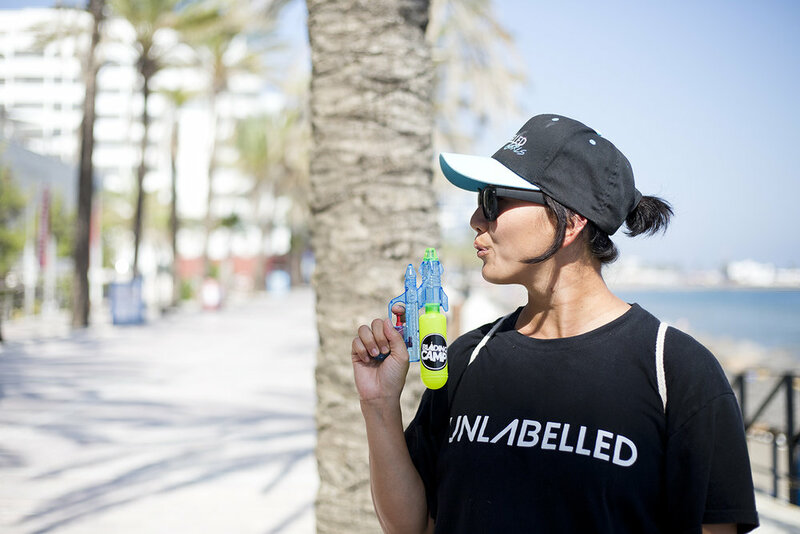 We 3 sat in Malaga one night and worked out the logistics of whether it was possible. The numbers worked and it was something the industry was lacking! I had a super good feeling and I was determined to trust that feeling. The idea was rad and we agreed to go for it. This was early February 2017. I then made stickers for "flight school" Winterclash saying "something big is happening in Malaga this summer". At Winterclash, Montre, Q, Richie and I laced the first ever “Winterclash Training Camp: Flight School” I invited all the students and talked with all our ex gypsy camp alumni from years past, including loads of parents; who loved the idea and said they would support it. Since I had been teaching the same students for 6 years my students who were 11 when we met, were now 17 and ready to travel! How perfect for their first trip to be to a skaters Paradise. Well the rest is history. I rounded up the Gs, Montre, Q, Richie, Manon and Mery, rented the dopest house, bought a website and dropped the bomb. 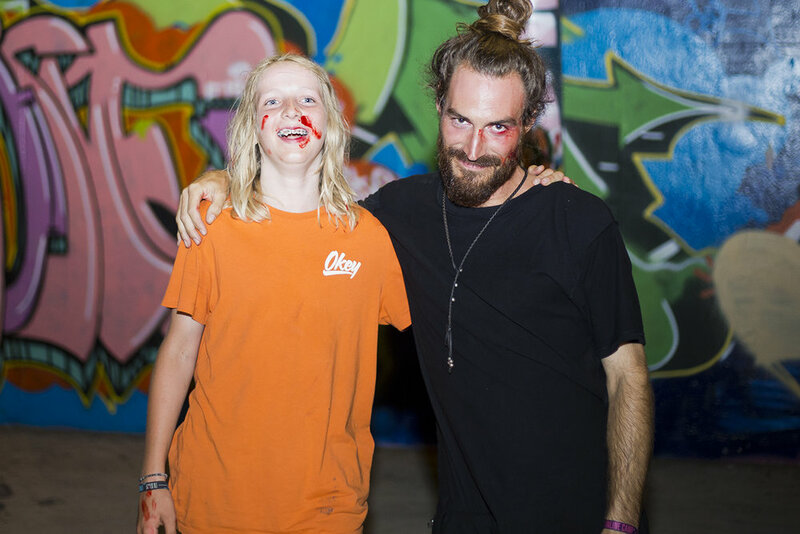 Just to expand on your travels a bit, how did a blader from Texas end up running a skate camp in the south of Spain? Playing the role of "pro skater" for the past 7 years I have visited and stayed in many beautiful places in the world. Thanks universe for that! I love to speak Spanish and I really wanted to become fluent in it. At the end of the 2014 Camp season, after making a surprise extra camp with Q and Fred, I had a little extra cash to play with. Instead of booking a flight back to Texas I took the extra change down to Malaga where Fred and I rented an apartment after 2 weeks of sleeping on Uani and Aritzs couch. This was August of 2014. I prepaid my rent for the next 4 months and for the first time in my life I was absolutely free to do what I wanted 24/7. I fell in love with the Spanish sun, food, lifestyle and freedom it gave me. 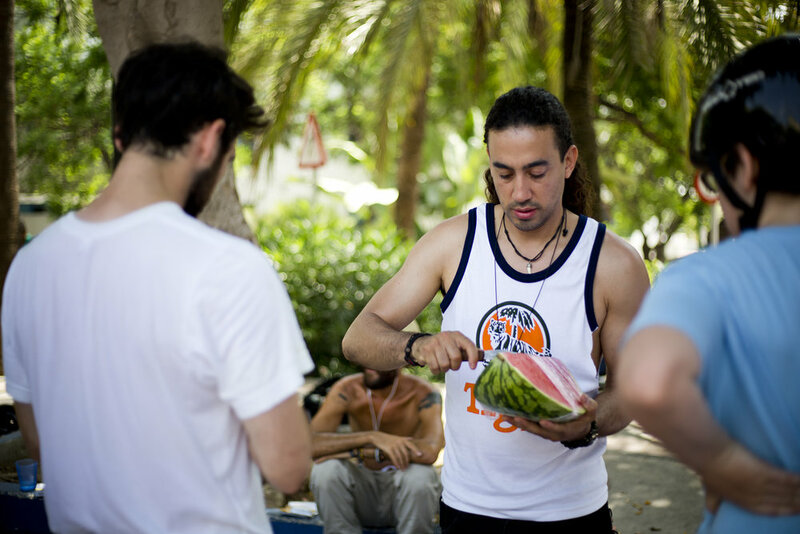 I started doing one on one lesson with Aritz on the beach and also was able to go to load of more events. I skated every single day nonstop all over the city and spent every evening on the beach. Our apartment was the ish. After Fred left a Danish and Canadian friend came in and we kept it rolling for another year! That year I was on a winning/taking top 3 streak. I was living paying rent and traveling from skating 100%. What a ride. I had my BIG demo frames and was completely reinventing my skating. No more 2 wheel flintstone skating, I evolved to 8 wheels and quickly realized that at these speeds one mistake and I would be out for awhile or worse dead. Dave Lang had just cracked his dome and Fred did the same, followed by Montre. I decided at that moment to put on an helmet and make it cool to the kids! After all I was teaching, skating shows and events most of the time so the helmet had become natural. Best choice I ever made. After filming numerous street sections, Jonas came down a few times, I became familiar and quite impressed with all the secret gems málaga held, from a vast number of skate parks in a tiny proximity to natural wonders that would leave even the most experienced traveler impressed. I just put all the pieces together. 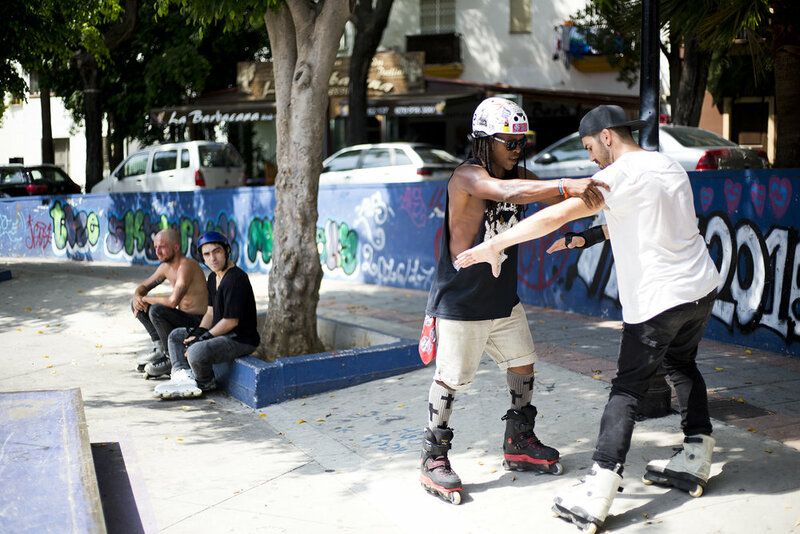 I understand that Blading Camp is intended for people of all ages and skill levels. What were the camper demographics like in 2017? We had 65 campers from 22 countries. The youngest was eight years old and the oldest was 40+. That's right, the camps are all ages. To children they are called "camps" but for the adults/older campers it's called a giant session. It was an all levels Camp, from pros to people who couldn't even skate! Each camp was well balanced by ages. We had 20 per week. Ran 3 weeks total and actually had a waiting list for August’s final week of camps we booked 24. We are a diverse camp covering all disciplines of skating including tri skating, slalom and fitness. The Bladies exclusive camp might have been the most successful. 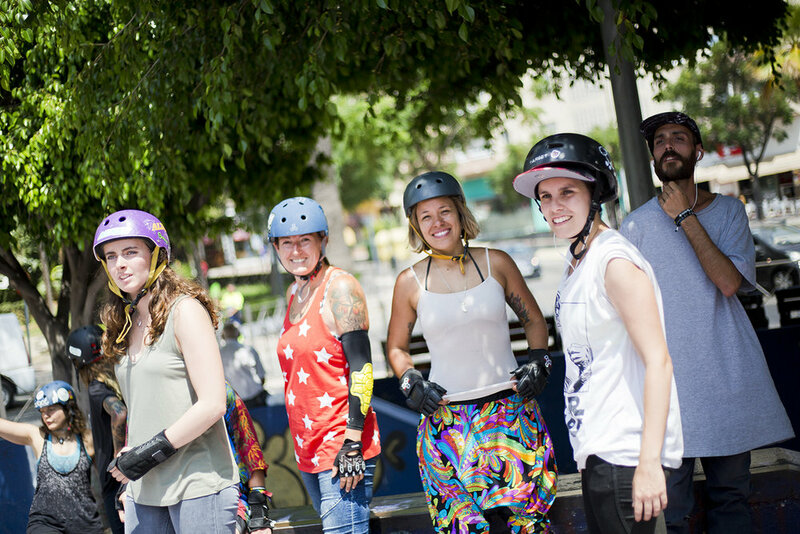 Many of the girls said it was their "first time ever skating with another girl.” Mery and Manon are two of the most inspirational and influential people on the planet. I can't thank them enough for taking the shot in the dark with the camps! We had no idea whether enough girls would register or not. Melissa Brown was absolutely a godsend for helping push girls to register and keeping them all organized. She paid for some enrollment and flights for some of the girls. I am eternally grateful for her support and belief in the project. We kept talking about how no one supports the ladies, well we changed that. Blading Camp does! I'm so excited for this year. The bladies camp is already almost sold out and girls from all over the world are coming to play! What can campers expect out of a typical day this year? I'm about always fine tuning and for that reason I have worked out all the small kinks from last years camps! Where last year we rented 9 vans and 9 drivers now We got one giant bus per week #bladebus. Simple. Last years camp house was small. It was dope but was small. This year we got a huge house at least 10 times larger with a rooftop pool, rock climbing, zip lining, a garden, caves, a river and an outdoor adventure park all surround by epic mountain views and fresh clean air. Last years camp all the food was BIO/Ecological. We will keep with this and improve on it by decreasing our use of plastics and non-reusable things as much as possible. Plus a lot of our food will come from our garden on site of the Blade house. We still have professional chefs preparing all the meals: vegan, veggie or meat eater as you wish! We've added a few new adventures like a tour of the majestic city Granada plus their huge skatepark as well as the ancient megalithic ruins of El torcal. Returning to the fresh Water spa with cliff jumps Ardales lake. Added new parks and kept some of the people's favorites. Last year we were 4 nights 5 day camp this year we added an extra day because all the people requested it, now 5 nights 6 days in paradise. We wake up early, skate a park, swim, visit a beach or lake, chill and have lunch, play all day until we visit another park in the evening before return to the camp house for dinner. Will Montre, Richie, and everyone else be returning? Yes they'll all will be returning as well as Mery, Manon, and the newest edition for 2018, we have Nils Jansons joining the team. We have a few other special announcements dropping including some special superheroes that will be stopping by. We'll announce it all over time. What moments stand out most to you from last summer? Bladies week! 25 girls in one house was high energy! Overbooking August was a crazy feeling proving how much the people wanted this. Seeing tents spread all over the lawn was a dream come true. July camps with Felix and Reuben high energy young Guns! Spanish mafia. Picking up Jippe from the airport! I had to go thru airport security and pick up all the under 13 campers from their planes. Jippe a 10 year old from Holland showed up to August camp rocking Sun glasses and a huge smile like a proper G. I was impressed. And he skated like an adult! When Bernard faked a face planet with fake blood and I freaked out like a parent. Canino de reyes adventures, Ardales lake cliff jumping. August session in San Pedro street skating. San Pedro skatepark all skating under the drone. Working together with my partner during August Camp! Richie T Payne rapping app all night long last night of August Camp. Sound like things are going to be busy in Spain this summer, thanks for taking the time to chat with us Josh. We'll be following all the excitement on instagram.